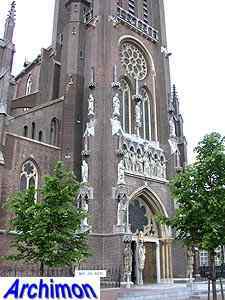 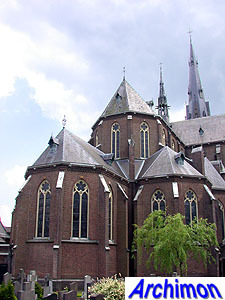 After having been used by the protestant minority for almost two centuries the Gothic church of St. Lambertus of Veghel returned into the hands of the catholics in 1819. 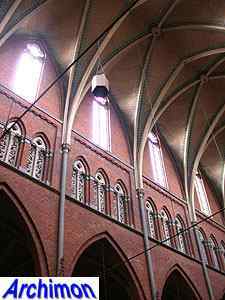 Until then the catholics had used a simple church disguised as a barn. 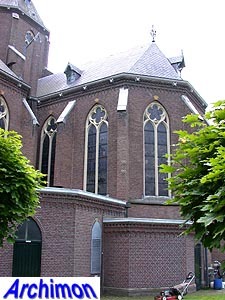 The old church was repaired and was ready for use in 1822. 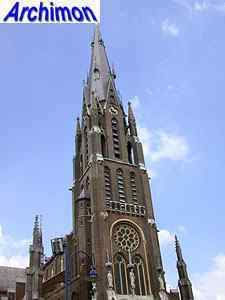 But the church was too small and in 1858 P.J.H. 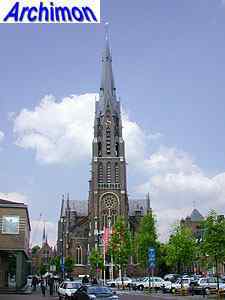 Cuypers started his biggest assignment so far; a new church was built on the location of the old barn church. 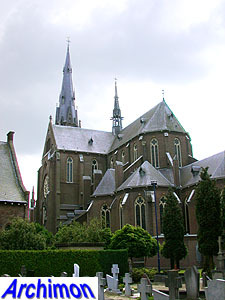 Part of the assignment were also the presbytery, a school and a convent. 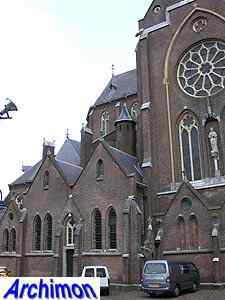 The new church was enormous compared to its predecessor, which was demolished in 1860. 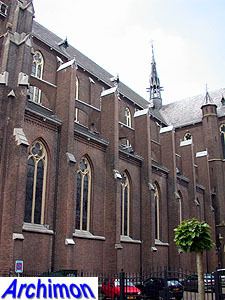 The St. Lambertus was Cuypers' biggest church until then. 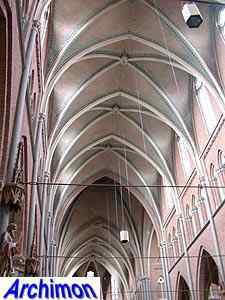 It was also the first big church where he applied brick vaults, after having practised with these in the basement of the presbytery. 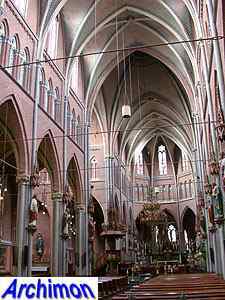 The vaulting of the church was relatively cheap, as the architect managed to use a minimum of material to overarch a maximum of space, although this miracle has caused enormous costs for maintainance since. 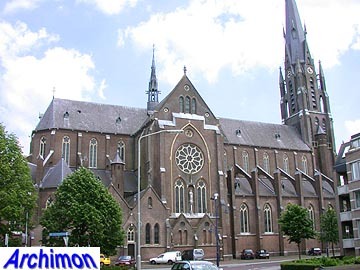 But from this moment on Cuypers' name was established nationwide. 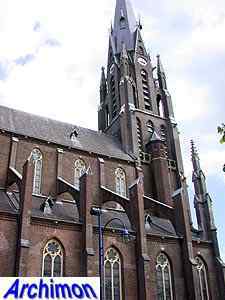 It's a three-aisled cruciform basilican church with a tower at the west-side and a choir with ambulatory and radiating chapels. 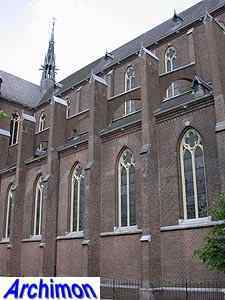 The design was inspired by French 13th-century Gothic. 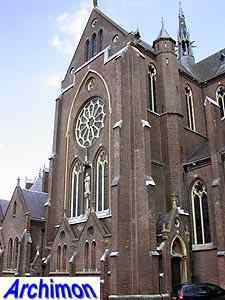 The tower has an octagonal upper segment surrounded by four small turrets standing at the corners of the segment underneath, an idea borrowed from Chartres cathedral that Cuypers used several more times. 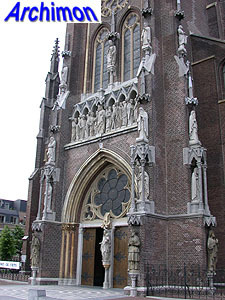 The front of the tower is heavily decorated with natural stone sculptings. 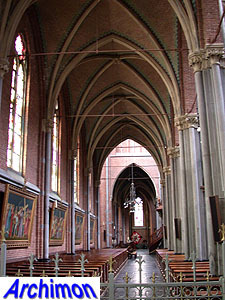 Similar details originally graced the fronts of the side-aisles, but these were removed after World War Two.